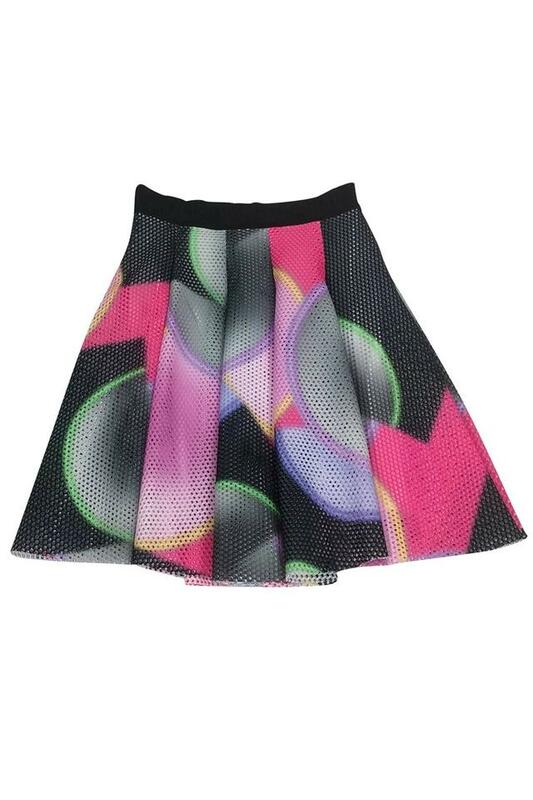 A mesh style fabric in a multi-color print make this skirt a stand out piece. Perfect to pair with a fitted top and chic stilettos. This skirt a bold choice.